Home>Mythology>Greek Mythology>What is a Harpy? A harpy was a partly woman partly vulture creature in Greek and Roman mythology. Harpies were said to be wind spirits originally. 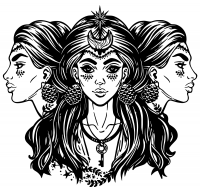 Some descriptions defined a harpy to be a woman with a vulture’s body whereas some defined it to have a woman’s body with a vulture’s head. The word “harpy” is derived from “harpyia” in Greek language which can be interpreted as thieves or “the one thatsteals/snatches”. They acted sharp and fast in their doings. 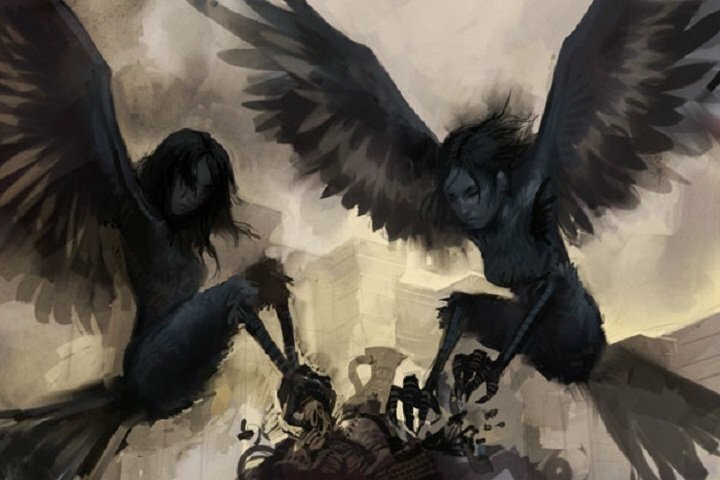 Stories about them depict harpies to be sly creatures who steal the food of their victims and that is why the name “harpy” was attributed to these mythical creatures. Both Hesiod and Homer mentioned harpies in their writings but their existence was not limited by Greek literature. These creatures were also mentioned in Roman and Byzantine as sneaky and ugly beings while they were mostly depicted as beautiful women in pottery. beings away from earth to punish them. That is why, sudden disappearances of people and things were sometimes attributed to harpies in the ancient times. Thrake’s/Thrace’s King, Phineus was one of those human beings punished by Zeus by means of harpies. Since he disclosed some secrets of gods using his talent for prophecy, Zeus punished him by ordering harpies to steal whatever food placed on his plate right before his eyes. 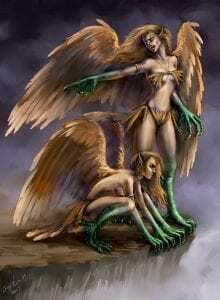 Harpies are also told to have caught and carried evil people to chthonic deities of vengeance, Erinyes. In modern culture the word “harpy “is used to define a woman of irritating and devious nature.